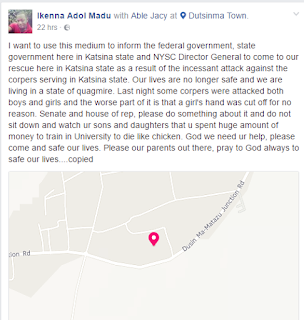 A Facebook user, Ikenna Adol Madu has cried out to the Federal Government for help, revealing what he described as the plight of National Youth Service Corps (NYSC) members currently serving in a part of Katsina State. 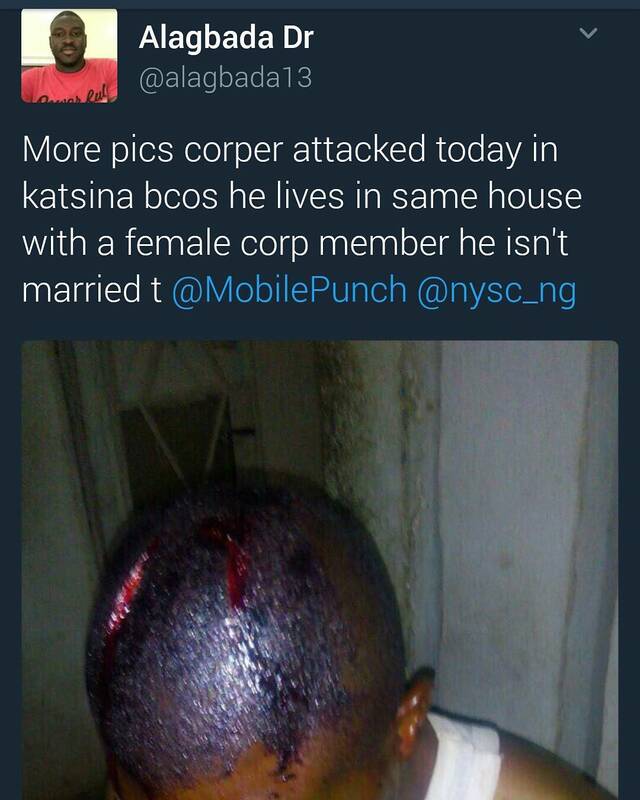 He said the corps members are constantly being attacked. 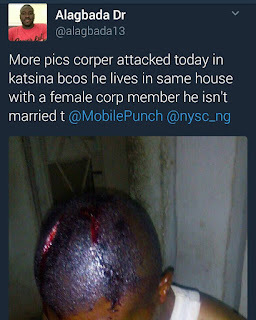 Madu also shared disturbing photos of a severed thumb said to belong to a female corps member and the battered head of another male corper who he claimed were attacked recently. 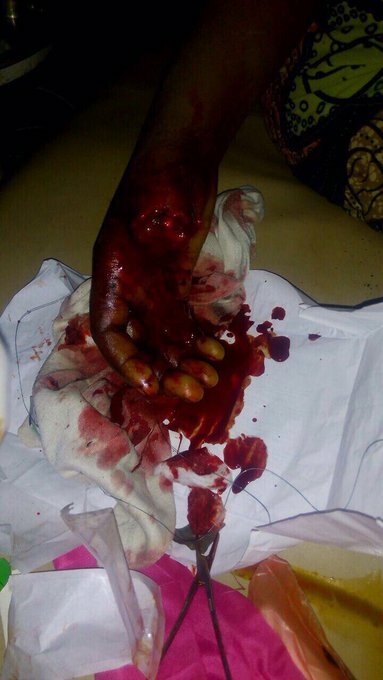 “Last night some corpers were attacked both boys and girls and the worse part of it is that a girl’s hand was cut off for no reason,” Madu wrote in the post. 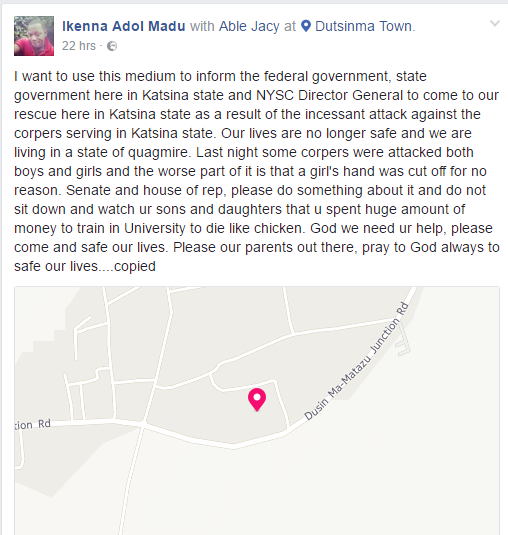 See screenshots of the post and some of the photos below. 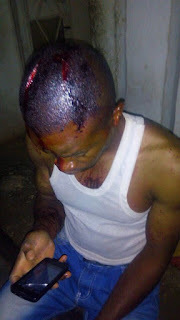 0 on: "Corper's Finger Cut Off In Katsina"